Waters' Equipment Co., Inc. has a Dedicated Parts and Shipping Department in Maryville, Tennessee that services customers in all of the United States of America. Our Parts Department has a reputation for going the extra mile and making sure that our customer's Parts needs are taken care of quickly and accurately. We have sources for New, Rebuilt, and Used parts to meet our customer's needs and maintain a huge inventory of New, Rebuilt, and Used parts in our Maryville, Tennessee location. We average around 30,000 line items that include current, obsolete, or hard to find parts. We offer Original Equipment Manufacturer replacement parts or can provide Aftermarket parts replacement Options. In addition, we will find the best price we can and will order from the location that will still ship the parts out if the call comes in after normal hours of business. 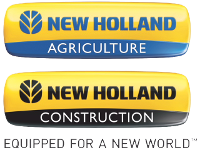 New Holland, Cummins, Allison, and Kohler dealer for East Tennessee.